Long-term care planning can mean the difference between living out your life the way you want and becoming a burden to your family or a ward of the state. As medical technology improves and evolves, long-term care is a growing reality. It is also a very expensive reality. Generally, the public at large does not have a good understanding of the long-term care needs, including why and how to plan for long-term care. Many simply deny that they will need long-term care; others believe, incorrectly, that Social Security, Medicare, or their existing health insurance will cover the costs. They also do not realize the emotional, physical and financial strain long-term care has on the family as well as the caregiver. The following are current costs for various types and levels of care, as reported in the Genworth Cost of Care Survey: Home Care Providers, Assisted Living Facilities and Nursing Homes, reflecting median costs as of 2010. Homemaker Services - Nationally, the median hourly rate charged by a noncertified but licensed home-care agency for homemaker services is $18. Homemaker services include housekeeping, cooking, and running errands. An 8 hour shift each day can cost over $50,000 per year. Home Health Aide Services - Nationally, the average median rate charged by a noncertified but licensed home-care provider for home health aide services is $19 per hour. Home health aides provide assistance with ADLs, not medical care. An 8 hour stay each day for home health care services to keep you at home can cost over $55,000 per year. Adult Day Care - Nationally, the median daily rate charged for adult day care (which provides social and other support services in a community-based setting) is $60. Assisted Living Facilities - Nationally, the median rate for a private one-bedroom unit in an assisted living facility is $3,185 per month (implying an average annual cost of $38,220). These rates exclude one-time community or entrance fees. Thirty-five percent of the assisted living facilities surveyed charge a one-time fee, commonly referred to as a community fee or entrance fee, ranging from $25 to $1,200. Nursing Homes - Nationally, the median rate for a single-occupant private room is $75,190 per year or $206 per day. The median rate for a semi-private (i.e., double occupancy) room is $67,525 per year or $185 per day. Considering that the average length of stay in a nursing home is two and a half years, the total cost of an average stay today would be about $168,800 to $188,000. For many, this expense could easily consume a lifetime of savings. Others may not be able to cover the cost at all. Many people believe that they will rely on Medicaid for end of life care. Unfortunately, in order to qualify for Medicaid to pay for your long term care, you must first “spend down” your assets to a level that qualifies you for benefits. This depletion of assets is essentially a process of voluntary impoverishment. Unfortunately, you stand to lose more than just your assets. You can lose your independence, control, choice and dignity. You may also feel guilt and shame for not being able to care for yourself financially. The irony of spending down assets is that once you are impoverished enough to qualify for medicaid, you may be so poor that you must remain in the Medicaid home forever. Generally, to qualify for Medicaid in Florida, a single person is allowed to keep only $2,000 of countable assets and only $35.00 per month of countable income. Although your primary residence is exempt, most often there is not enough income (at $35.00) to support the expenses of the residential real estate, resulting in the sale of your residence with the proceeds used for your long term care. Those who are married are allowed higher amounts to keep to qualify, however, when they are widowed, the survivor has a single status and is faced with the same problem. Your state can make claim to recover the funds paid for your care through Medicaid. This is not initiated until death and is for recipients 55 and over. Assets subject to recovery are both real estate and personal property and recovery is based upon certain conditions. Bottom Line: It is advisable to avoid Medicaid at all costs, if possible, for long term care. Advanced planning for future care needs will allow for greater independence and choice as to where and how the care is delivered. Advanced planning can mean greater financial security, not only for those who may need care but also for their family and loved ones. Advanced planning can ease the financial and emotional toll on one's family and release them from the burden of providing the care, if and when it is needed. Advanced planning will avoid the uncertainty, confusion, and mistakes that could arise in the event of a health-care need. Advanced planning will promote a continued quality of life, as the person defines it, when care is needed. There are many options to consider when planning for long term needs and expenses. For most, the purchase of long term care insurance is by far, the best and most efficient option to choose. It eliminates voluntary impoverishment, the possibility of estate recovery and most important, it preserves your dignity and independence and gives you freedom of choice. 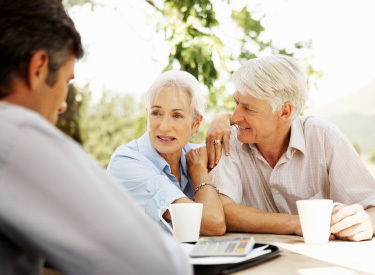 JMS Estate Planning Services can help you design a tailor-made long-term care program. Please contact us today by calling (386) 446-0317 or by using our web contact form.